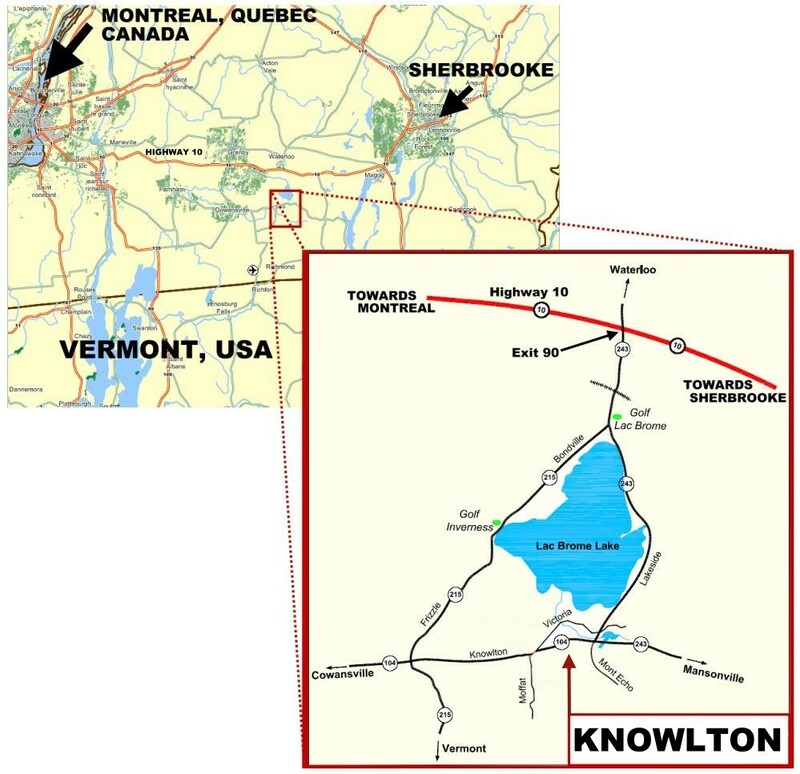 Getting to Knowlton, Quebec and the Eastern Townships by car is easy and these directions to Knowlton – Lac Brome can be printed out for reference. 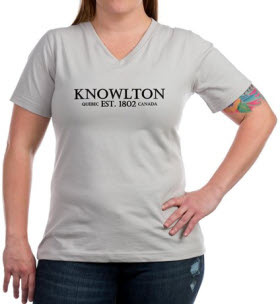 Maps of Knowlton and The Eastern Townships can be found free of charge at most Tourist Information centers. There is one on Highway 10 outside of Bromont and another on the highway 243 just before arriving in Knowlton from Highway 10. You can also find tourist information at the local Chamber of Commerce office in downtown Lac Brome which is listed on our Business Directory Page. If you are coming through Montreal simply follow Highway 10 heading East and drive for a leaisurely hour and a half until you get to exit 90 and head south on highway 243 southbound and you will skirt along Brome Lake and in twenty minutes will be in central Knowlton. If you’re coming from Sherbrooke or the East then stay on highway 10 and again turn south at exit 90. Directions to Knowlton from Vermont are also easy. Enjoy the view on your ride north on highway 215 or come up through Mansonville and enjoy the scenery.